Known as "The Wingman," Waldo is a graduate of the US Air Force Academy and a decorated F-16 fighter pilot with more than 65 combat missions. 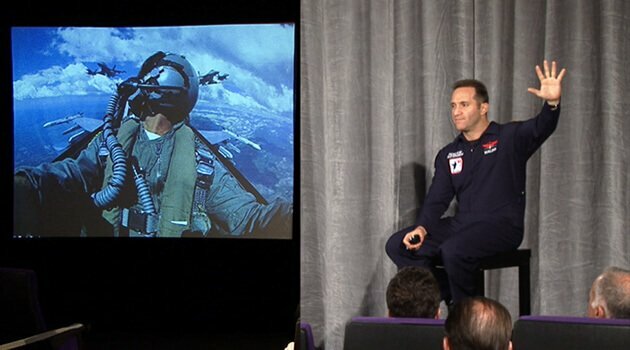 He also earned his wings in business as a top sales producer for several companies before founding his own peak performance firm, Wingman Consulting. As author of the New York Times and Wall Street Journal bestseller Never Fly Solo, Waldo travels the world teaching others to reach new heights in business and life. As a media personality, he's been featured on Fox News, CNN, and The Harvard Business Review. Waldo lives in Atlanta, Georgia, where he was named one of the top 40 business leaders.